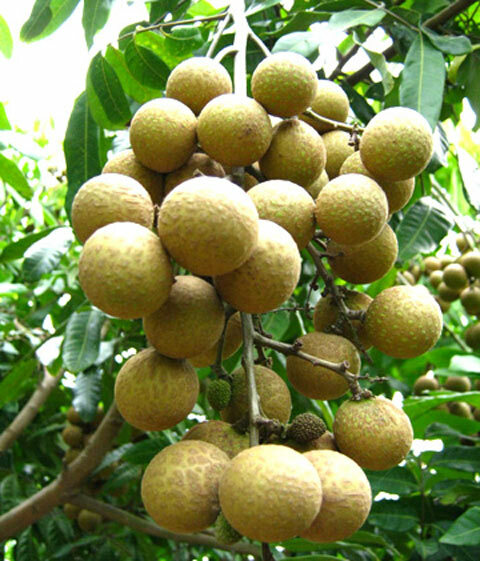 LONGAN FRUIT | HANG XANH INTERNATIONAL Co., Ltd. If you want healthier bones, look beyond calcium and vitamin D. Longan fruit extract has been shown to activate osteoblasts, the cells that form bones. It does this by boosting the pathways that stimulate osteoblasts. This benefit of longan fruit may be especially useful for menopausal and aging women, who are at risk for bone loss and osteoporosis. Longan fruit’s benefits also include antioxidative abilities. Because it’s full of flavonoids and tannins, the fruit will protect your cells from damage. These compounds inhibit inflammation and the final processes needed for oxidative stress your body is said to be experiencing oxidative stress when it’s unable to cope with the cell damage triggered by free radicals. As a fruit, longan is jam-packed with natural chemical compounds called polyphenols. These substances can fight Candida species and Cryptococcus neoformas, which are fungi. These crop up as yeast infections and call for antifungal treatment.